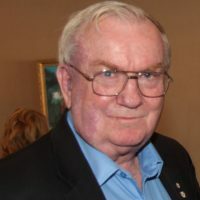 A Medical Health Officer in British Columbia from 1971 to 2007; the last 23 years as the Chief Medical Health Officer for Vancouver Coastal Health. A 50 year career in the Canadian Forces (mostly reserve time) from age 16, Guardsman in the Governor General’s Foot Guards; Flying Officer in the RCAF; Officer Commanding RCAMC unit Service Battalion in Calgary; Senior Naval Reserve Medical Advisor in the RCN to Honorary Colonel 12 (Vancouver) Field Ambulance. Provincial Commissioner St. John Ambulance. Published 23 books. Proud husband to Carol and father of 4 wonderful children and grandfather to 10 wonderful children.